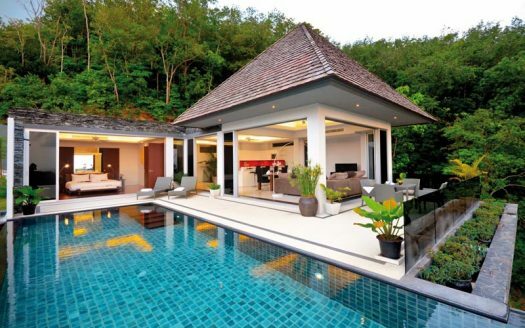 This private villa is located few minutes drive away from Bangtao beach, Layan beach and Surin beach which for many are the best beaches in Phuket. There you can enjoy day time activities such as snorkeling and swimming, the golf course in Laguna is also available if you wish to do so. Having a night life fun, famous beach clubs such as Xana and Catch are open to add up some color in your holiday.